Even before the 2009 economic crisis, my family and I were concerned about our financial future. We are retired and live on a modest fixed income. Expenses to maintain our lovely home were escalating daily and we had reached the tipping point, incurring a negative cash flow that dipped aggressively into our savings. Partially for financial reasons and partly because we were interested in a new adventure, we began looking into living abroad. There were good reasons to consider active adult communities in Costa Rica, Panama, Mexico, Brazil, Argentina, Uruguay and even Europe, but there were also disadvantages. Some countries were too expensive. Others lacked any remaining indigenous culture. A few had language barriers that were too steep. Europe was just too expensive. Then we discovered Ecuador, which popped up as the best country to fit our needs: affordable cost of living, ability to purchase an elegant yet inexpensive home and the presence of a vibrant lifestyle. We spent months looking at websites and exchanging emails with expatriates living in Ecuador. We asked question after question, looking for accurate information. What we heard sounded good to us, but we weren’t sure we were getting the whole story. So, off we went for a three-week visit to scout out the two cities that were the best candidates-Quito and Cuenca. Though it’s only about the size of Nevada, Ecuador has three distinctly different regions. 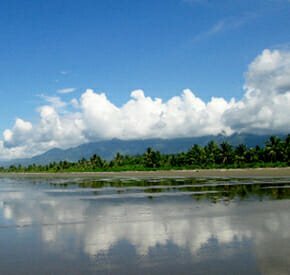 First, there’s the seacoast which is hot, humid and, unfortunately, harbors the threat of malaria, but is incredibly beautiful and inexpensive. To the east is Amazonia, with its steaming jungle-somewhat spoiled by oil drilling and mining operations, home to the earth’s most diverse environment. Then there is the Sierra or the Andes mountains, which run like a spinal cord down the center of the country. The mountain range is filled with volcanoes, long verdant valleys and constant warm weather, a choice that was hard to ignore. Our cities of choice, Quito and Cuenca, were high in the mountains and, remarkably, enjoyed an almost spring-like season all year long, even though they sit almost on top of the equator. The flight from the U.S. takes about four hours to Quito or Guayaquil, the major international airports. The Quito airport is right in the middle of the city, which makes for a hair-raising downtown landing. At 10,000-foot altitude, Quito rests in a long valley fringed by mountains that rise as high as 16,000 feet. The air is thin but caused us no problems, except when we climbed steep steps and panted a little until we adjusted. Quito’s streets are often more steep than those in San Francisco. Our apartment was in the historic district, overlooking two immense cathedrals and the surrounding mountains dotted here and there with homes. A huge statue of Quito’s winged virgin stares down from one of the mountains as if guarding the city. The narrow, cobblestone streets are very congested with car and bus traffic. Similar to other developing countries, buses belch diesel exhaust, which was something we were not used to. At all times of the day and night, there were people everywhere, ranging from beggars and obviously poor indigenous people wearing classical Ecuadorian clothes of Panama straw hats and bright woolen shawls, to well-dressed business people moving quickly to their destinations. The Indian population is uniformly short with stocky features, dark hair, and warm, beautiful eyes. Everywhere we found kind, open and friendly people willing to help us communitcate with our mediocre Spanish. Each morning, a human rooster came by at dawn calling “Christo, Christo,” over and over. One night we were awakened at 4:30 a.m. by 20 people marching down our street singing a beautiful song and carrying a statue of the Virgin Mary. But, for us, Quito was too big, too congested, too polluted with bus exhaust and filled with unimaginable traffic. We looked at two suburban communities 50 minutes away by car called Cumbaya and Timbaco, which are thoroughly gentrified and have everything we are used to in the U.S. However, prices for homes were higher than we expected. There were many beautiful homes for sale, plus gyms, malls, auto dealers and restaurants, but we found the two communities rather sterile and too much like back home. A duplication of a U.S. town was not what we had come to South America to find. We took a side trip by hiring a driver for the day for $70. The trip north from Quito to the market town of Otavalo took us through Ecuador’s flower-growing region. Because of the near perfect climate in the Andes, flowers grow year-round on acre after acre of cultivated land. Cut flowers are sent to Quito Airport and shipped throughout the world. The roses you buy at the local flower shop were probably picked yesterday in Ecuador. Otavalo, about an hour north of Quito, is a pretty city on a lake that has turned the town plaza into an open air market, where the indigenous population has erected hundreds of stalls to display an unending selection of native Ecuadorian crafts. After a week of looking at homes for sale in the Quito area and exploring the countryside, we took a 30-minute flight to Cuenca, rather than brave the tortuous 10-hour drive through the mountains required if you chose to go by car or bus. Our rented apartment was in the American zone, which has hundreds of English-speaking expatriates living very inexpensively in apartment houses. Cuenca is an old colonial city filled with relics of Spain’s colonial days. A large part of the city has perfectly preserved historic buildings and a staggering 57 Catholic churches. Beautiful by any standard, it shares with Quito the title of being a world heritage site. Majestic mountains surround Cuenca and have a dramatic effect on the weather. It was interesting to find that more rain falls and the weather is noticeably cooler at homes we inspected at higher elevations. The difference of a few thousand feet was dramatic. Fortunately, we found the weather warmer by about five to 10 degrees and with considerably less rain in Challuabamba, a spectacular valley 2,000 feet below Cuenca and only a 15-minute drive from the city. One of the reasons we chose the Sierra Mountains in Ecuador is that the temperature every day of the year is a constant 60 to 70 degrees and only goes down to 50 degrees at night. Rather than the four seasons we left in the U.S., there are only two seasons in the Sierra-the wet season, which runs from January through March, and the rest of the year, which is the dry season. A typical day in Cuenca is bright sun until afternoon, when rain showers come from the clouds racing over the mountains. It is a climate to be envied anywhere, and quite a surprise since it lies on the equator, where you’d expect sultry heat night and day. Again, the equatorial sun is not what you would expect. Because the sun is directly overhead at the equator and there is almost no pollution at Cuenca’s altitude, the clouds and sky are intensely bright. The stark contrasts created by the intense sun are a photographer’s dream come true. There are malls that have everything you would find in the U.S. Huge, modern supermarkets, gyms, high-end clothing stores and almost anything else imaginable are available. Imported goods are more expensive than locally produced items. But, labor is very inexpensive and locally produced items like fruits, vegetables and regionally-made furniture are pleasantly inexpensive. There are a number of great markets for fruits and vegetables, many varieties we had never seen before. Our favorite was a market covering two city blocks with hundreds of stalls selling fruits, vegetables, clothing and even live animals. Taxi rides within the city are $1.00 to $1.50 to most places and make city commuting affordable and easy. You only need a car if you live outside the city. We had learned from our email conversations that expatriates meet every Friday evening at the La Parola Restaurant in Cuenca to socialize over drinks and conversation. The night we attended, there were 35 people who had moved to Cuenca from all over the world. Many of them rent for $700 to $850 per month or have bought modern two to three bedroom apartments in the $50,000 to $75,000 range in one of the seven-story high rise buildings in the American sector. Furnished apartments are a good compromise while looking for a home to buy or lease. Our investigations led us to Cuenca Real Estate (www.cuencarealestate.com) and Monica and Kathy, who showed us dozens of homes for sale. Houses cost far less, comparatively speaking. Of course, the farther out you go from the heart of the city, the more you get for the dollar. Unlike in the U.S., it is not easy to get facts and real estate information, but persistence pays off. Business transactions are very casual for things such as applying for residency, buying property, or leasing an apartment. We would highly recommend hiring a lawyer who speaks English for each of these transactions. We found a good lawyer who has the patience of Job. When buying a home, there is no such thing as an inspection, as we are accustomed to in the U.S. People sell as is. Be very careful. It’s a good idea to hire an architect or structural engineer to examine the house and give recommendations. By the way, Ecuador uses the U.S. Dollar, so there are no currency fluctuation problems, as is the case with the Euro and other currencies. On our last weekend, we found a home that was much grander than we had been looking for. With five bedrooms and eight baths, it rests high on a mountainside in the Challuabamba valley. Even more desirable, the house has a massive social area, an indoor 40-foot-long swimming pool, a sauna, a steam room and an outdoor tennis court. All of this came for an amazing $250,000. Home sweet home, indeed. With an average year-round temperature of 70 degrees, Ocala, FL, boasts a more than average year-round world of beauty and adventure. 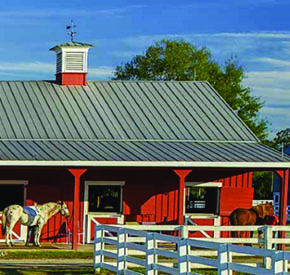 Ocala supports a rich equestrian life for breeders, seasoned riders, and visiting newbies alike. Tucked into north central Florida, this town is home to just under 60,000 people, has a thriving downtown with a diverse range of restaurants, and the surrounding region provides many ways to soak up all of that endless Southern sunshine. Whether it’s the love of competition, enjoying a leisurely ride through the stunning nature trails, or the long legacy of champions being born, bred, and broken in the region, Ocala is an equestrian dream come true. The area has more horses in residence than any other county in the United States and was officially named ‘the horse capital of the world’ in 2007. Amid its rolling hills of limestone-rich grass is one of the largest concentrations of horses in the world with 45 different breeds, including the American Quarter Horse, Paso Fino, Arabian, and Warmbloods. 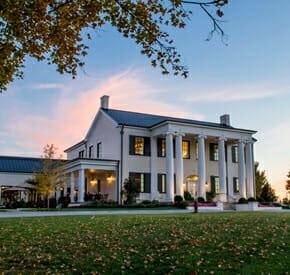 The 600 thoroughbred farms have produced 45 national champions, six Kentucky Derby winners, 20 Breeders’ Cup champions and six Horses of the Year to date, and their accomplishments continue to bloom. In addition, there are hundreds of ranches that offer a wide range of riding options to guests of all ages and fitness levels. Ocala hosts one of the largest dressage/jumper horse shows in the country featuring over 100 different breeds. With a huge line-up of events throughout January and February 2016, HITS culminates in March with the Great American $1 Million Grand Prix. In the upcoming festival, there will be two new USEF-rated shows, making this event at Post Time Farm an ideal winter destination for anyone with a love of horses. Ocala National Forest, Silver Spring National Park and Outdoor Adventures! When you’ve finished admiring the wonderful equestrian life, there’s a wealth of other outdoor activities to be discovered. Located north of Orlando, Ocala National Forest is the southern-most forest in the United States and has more than 600 pristine lakes, rivers, and springs, allowing visitors to swim, snorkel, and dive in crystal clear waters all year round. Many of the scenic lakes were formed when limestone bedrock dissolved, causing the surface layer to slump and fill with water, creating an ideal setting for kayaking and canoeing. Each stream has its own unique characteristics such as Juniper Creek, which starts out scarcely wider than the canoe itself and ends up more than a hundred feet wide. Accommodations within the forest range from different camping options to idyllic cabins. 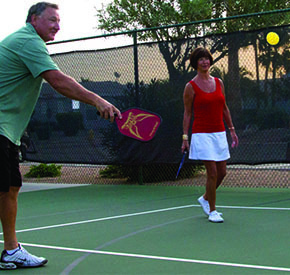 The campgrounds are divided into three classes based on the type of facilities offered and fees charged: developed campgrounds, primitive campsites, and dispersed tent camping. 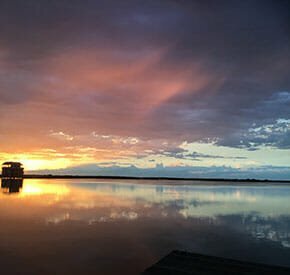 The picturesque cabins, accommodating up to 10 people, are available at Lake Dorr or Sweetwater Spring, although it’s best to plan ahead as these two special locations tend to be in high demand. 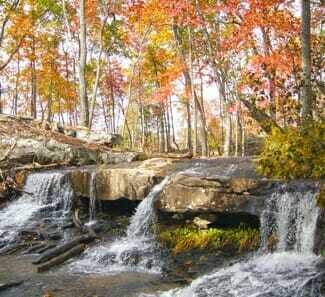 Known as the gateway to the National Forest, Silver Spring Park has one of the largest artesian springs ever discovered. Dating back to the 1500s, Indian settlers resided around Silver Springs, and a dugout canoe can still be seen resting on the bed of the Silver River. Visitors can enjoy a glass bottom boat ride, take a kayak, or canoe trip around the immensely beautiful springs and soak up the vast collection of natural habitats and wildlife. For those who would like to soar over the water, as well as being on it, there are zip lining adventures galore. 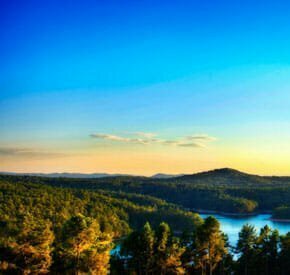 If flying over treetops, lime-rock canyon ridges, divine waterways, and oak- and pine-filled forests is something you can imagine enjoying, then there are professional guides who will help you make this a reality. Taking a break from the great outdoors, Ocala also offers some inspiring indoor entertainment. The Appleton Museum of Art is an award-winning contemporary establishment, originally built to display and preserve Mr. Appleton’s extensive art collection. The 30,000 square feet of gallery space opened in 1987 and is now devoted to the permanent collections of approximately 18,000 objects include European, American, Asian, African, Contemporary, and pre-Columbian art and artifacts, alongside a number of temporary exhibits. The Appleton is one of the South’s premier art museums and a leading cultural institution in Marion County. For a town of its size, Ocala has an eclectic choice of restaurants, from Asia to Italian, grills to vegetarian options, there’s something to satisfy every appetite. Latinos y Mas: This Latin fusion restaurant specializes in contemporary Spanish and Latin cuisine with a Mediterranean flair. You can expect to find anything from authentic Paella to freshly-made tacos in this relaxing, tasteful environment. Amrit Palace: Transporting you directly to the heart of authentic Indian cuisine, this venue is a little slice of Asia in the heart of Ocala. Its exotic range of dishes include meat, vegetarian, and vegan options, making it an ideal choice for a family with diverse diets. Ayuttaya Thai Cuisine: Offering the best in homemade Thai food, this establishment is well-known for its delicious menu and generous use of numerous herbs and spices. Lemongrass, chiles, galangal, basil, lime, and Kaffir fuse to create an array of delicious, fresh dishes. Riccardo’s Restaurant: This family-owned venue provides traditional Italian meals and pizza that even New Yorkers describe as “outstanding.” Offering an impressive selection of homemade pies and generous size pizza-by-the-slice, Riccardo’s also has a traditional all-American breakfast menu and a special lunch menu consisting of a variety of homemade soups, salads, and sandwiches. The Ivy House Restaurant: Southern hospitality doesn’t get much better than the homey atmosphere of The Ivy House. Named by Florida Trend as one of the “Top 500 Best Places to Eat in the State” for several years running, their specials include Southern fried lobster, delicious hand-cut steaks, and their unique baked krispy chicken. Floating above Phoenix in a hot air balloon, you’ll experience the spectacular beauty of the colorful Sonoran Desert, and the rugged mountains that define the city’s horizon. Known as The Valley of the Sun, the scenic desert landscape features giant saguaro cacti, red rocks, and hillsides carpeted with blooming wildflowers in the spring. 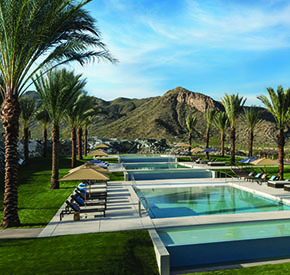 Along with its stunning scenery, Phoenix is known for its warm, sunny days, and cool nights, which make it the perfect place for outdoor enthusiasts. 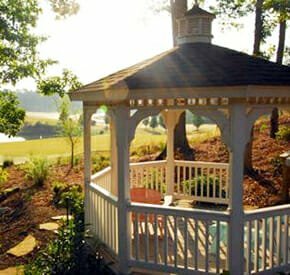 Enjoy gorgeous golf courses and beautiful mountain trails for hiking, biking, and horseback riding. 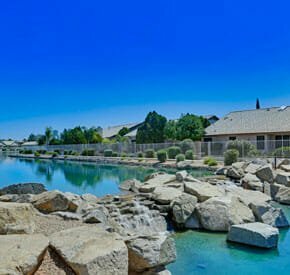 Boating, fishing, swimming, and water skiing are available in the cool, refreshing lakes within a 40-mile drive from Phoenix. Outdoor adventure is celebrated in Phoenix’s legendary parks. 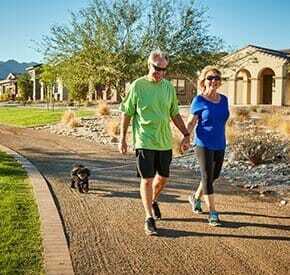 At over 16,000 acres, South Mountain Park and Preserve is one of the country’s largest municipal parks and boasts more than 51 miles of trails. Located only 10 minutes from downtown Phoenix, Papago Park features unique, massive sandstone buttes and an extensive trail network for hiking. The smooth, easy treks make it a great place for a family hike or bike ride. Hike to the Hole-In-The-Rock for views of downtown Phoenix, or catch catfish and trout at the Fishing Lagoon. ffe Encounter. And don’t miss the camel rides! The Desert Botanical Garden offers 140 acres of the world’s finest collection of arid plants from deserts around the world. Five unique trails illustrate the themes of conservation, desert living, desert wildflowers and plants, and people of the Sonoran Desert. The dazzling beauty of the desert, coupled with its warm year-round climate, makes Phoenix a prime destination for golfers. The Phoenix area is home to more than 200 magnificent golf courses. 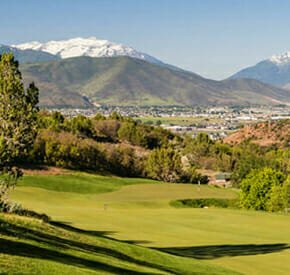 The Boulders Golf Club offers two 18-hole championship golf courses designed by Jay Morrish. These demanding courses feature breathtaking panoramas of rugged desert beauty. Troon North Golf Club has two courses designed by Tom Weiskopf. 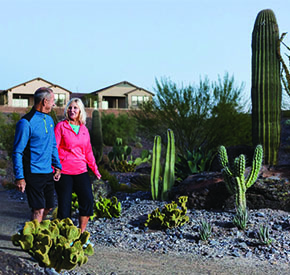 These courses slope through natural ravines by Pinnacle Peak in north Scottsdale and offer a picturesque desert landscape. Ranked one of the top desert courses in the country, Desert Highlands was designed by Jack Nicklaus. At this remarkable course, Pinnacle Peak looms just overhead and the lights of the Valley spread across the horizon. At TPC Scottsdale you can try your hand at the professional Stadium Course designed by Jay Morrish and Tom Weiskopf for the legendary Phoenix Open. 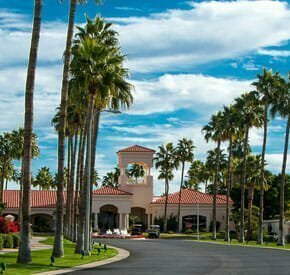 The Phoenix area abounds with fascinating museums and cultural attractions, including the Tovrea Castle at Carraro Heights. Known as the “Wedding Cake House,” you can tour this historic landmark built in 1930, as well as the surrounding Cactus Gardens. Frank Lloyd Wright admirers won’t want to miss Wright’s Taliesin West, a National Historic Landmark. Built in 1937, Wright’s architectural wonder is built out of stone and sand in the foothills of the McDowell Mountains. The acclaimed Heard Museum is one of the best places to experience the myriad cultures and art of American Indians of the Southwest. The museum’s exhibition galleries and outdoor courtyards feature outstanding traditional and contemporary American Indian art. international exhibitions. The museum’s collection includes 17,000 objects of American, Asian, European, Western American, and contemporary art. Phoenix also has a thriving downtown arts district, the Roosevelt Row Arts District (RoRo). Stroll through this unique area and enjoy impressive murals, award-winning galleries, and incredible restaurants and boutiques. Heritage Square and Science Park is a vital piece of the cultural landscape in downtown Phoenix. Heritage Square’s restored historic buildings are a beautiful reminder of the city’s vibrant Victorian past. The Square’s Rosson House Museum is a fully restored 1895 Queen Anne Victorian house that offers visitors a glimpse into the lives of early Phoenix families. The world-class Arizona Science Center intrigues visitors with its four levels of exciting hands-on exhibits, state-of-the-art planetarium, and a five-story-high IMAX® theater. The Challenger Space Center features hundreds of artifacts and exhibits from America’s past NASA launches and space missions. Aboard the center’s simulated International Space Station, you can play the roles of mission control specialists and astronauts. The performing arts also thrive in Phoenix. The Herberger Theater Center is home to two resident companies: Arizona Theatre Company and Center Dance Ensemble. The historic 1929 Orpheum Theatre offers off-Broadway hits and shows by nationally-known performers. In the elegant Symphony Hall, you’ll enjoy The Phoenix Symphony, which performs more than 200 concerts each year. Also performing at Symphony Hall, the Arizona Opera produces fully-staged operas, and concerts, and the innovative Ballet Arizona creates and performs outstanding classical and contemporary ballet. One of the city’s best features is the convenience of using The Valley Metro Light Rail. 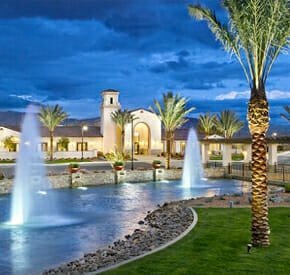 Take the Metro to places such as the Heard Museum, Phoenix Art Museum, Arizona Science Center, Chase Field (home of the Arizona Diamondbacks), Talking Stick Resort Arena (home of the Phoenix Suns), and Arizona State University. Valley Metro provides environmentally-responsible public transportation, which is consistent with the goals of SustainPHX. This comprehensive city program strives to educate and empower residents to create a healthy community that protects and preserves the environment. 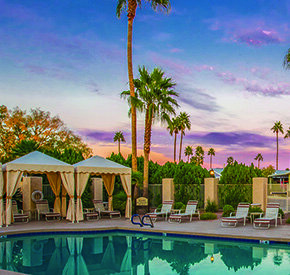 Phoenix truly is an ideal destination, with its warm year-round climate, striking desert landscape surrounded by mountains and plentiful golf, entertainment, and culture. 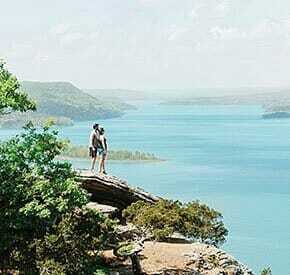 Explore this sunny, Southwestern metropolis and discover its beauty and diversity. By now, we all know that the state of Florida has some serious perks. 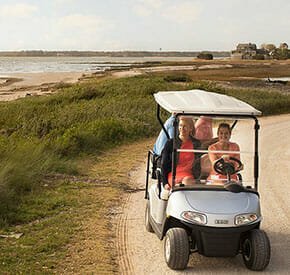 Many of us would name warm winters, white sandy beaches, and pristine golf courses as top attractions, and we’d be right. Retirees and vacationers flock to the panhandle for all those reasons. Florida may not be the first place one would think to find an abundance of culture buffs, naturalists, or outdoor enthusiasts. This would be where the stereotype unravels. Jacksonville, FL, tucked away in the northeast, is the beacon for a slightly different version of the sunshine state. Jacksonville is Florida’s welcome sign just across the border from Georgia, and has long been a bustling, thriving city bursting with culture and art, and dappled with and surrounded by parks and preserves along waterways, rivers, and lakes. 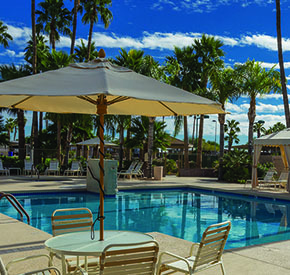 All this, gracefully flanked by Florida’s trademark white sandy beaches and adjacent towns that boast premier golf courses, is offered with average winter and spring temperatures warm enough to offer a reprieve from the cold (with the lowest average high temperature at around 55 degrees), but cool enough for crowd control. 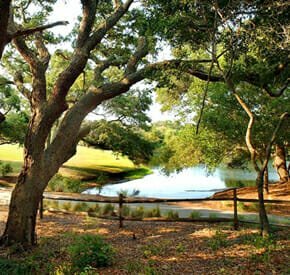 While Jacksonville reigns as the most populous city in northern Florida with as many as 850,000 residents, it also gets the gold medal for having established the largest number of parks and land preserves in the state. Whether you step outside the city center into some of these natural and historical havens or slip deeper in to explore charming neighborhoods like Five Points and San Marco, it’s easy to discover the root of the Southern pulse that keeps the big city vibe in check and sets the stage for the hospitality and culture for which we all head south. Jacksonville is the headquarters for several Fortune 500 companies and does the skyscraper thing really well. It’s also considered one of the most culturally and art-conscious cities in the state, with far fewer tourist attractions than other Floridian cities. While it sprawls out a bit (over 885 square miles and three rivers) covering the largest area of any city in the U.S., it runs conveniently into 22 miles of decadent beaches on the east coast, including those along ever-popular Amelia Island and Ponte Vedra. Zipping across the Main Street Bridge and into downtown’s metropolis at night is a sight not to miss. Colors wash and sparkle along the St. Johns River from bridge and city lights setting the stage for a city that comes alive at night with people buzzing in and around some of the top restaurants on the east coast, making their way through art galleries, First Wednesday’s art walk, through the Spark district or one of many other downtown districts. Whether by Skyway (Jacksonville’s public transport system), or water taxi, one can easily jet to and from Jacksonville’s north and south bank and from one happening spot to another. s beaches, from Ponte Vedra in the south to Fernandina Beach in the north, are the best-kept Florida secrets in winter and spring. When everyone heads to 80-degree days in southern Florida, Jacksonville and surrounding areas are a haven for those who don’t have a need to get their head wet in Janurary, but would rather enjoy far less crowded greens and beaches and a city bursting with culture in those months built for taking a sweater along. When spring has sprung, the city and surrounding towns come alive with one festival after the other. Jacksonville Beach kicks things off in March with the Great Atlantic Seafood & Music Festival. Zydeco, jazz, and blues prove to pair nicely with the coast’s finest seafood. Then, it’s the Springing in the Blues Festival that keeps the spring festivities moving in April with a laid-back, family-friendly celebration of a musical genre that spans generations. The Jacksonville World of Nations injects the city with an annual dose of food, dance, music, and traditions from more than 30 countries each April. The fun makes all the noise at the Isle of Eight Flags Shrimp Festival in Fernandina Beach in May, with mock pirate invasions, shrimp boat races, contests, and craft and food vendors. Jacksonville Jazz Festival caps off the spring season with performances by world-renowned jazz artists every Memorial Day weekend. 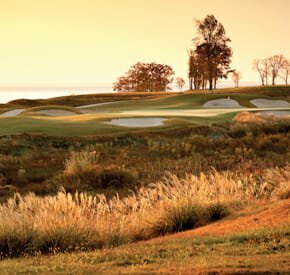 Whether it be golfing at the PGA’s pick of tournament-worthy courses on bustling Ponte Vedra in the south or at one of five courses on luxury-surrounded, well-preserved Amelia Island State Park in the north, Jacksonville is a golfer’s paradise. The list of other outdoor activities is endless. Horseback riding on the beach at Amelia Island and exploring nearby parks and preserves are favorite Jacksonville-area pastimes. Kayaking, paddle-boarding, and surfing are other typical Atlantic coast favorites. Hiking through one of the many parks and preserves can take visitors on a journey of the unique flora and fauna of the northern coast. As for sports fans, when you’re in Jacksonville, you’ve arrived. The Jacksonville Jaguars make a lot of noise with area football fans, and the women’s football team, the Jacksonville Dixie Blues, keep things interesting with a progressive spin on the game. Baseball, hockey, and basketball fans will have plenty to cheer and yell about as well at area games featuring local teams. The artist in all of us will be delighted with a tour of Jacksonville’s fine and funky art collections. The Art Institute of Jacksonville keeps the art scene lively and MOCA (Museum of Contemporary Art) and the Cummer Museum of Art and Gardens have exquisite collections from artists around the globe. For a taste of the local art scene, head over to CoRK Arts District to experience an artist’s cooperative at its finest. However you choose to explore—through a book on a hammock near the beach, cruising in the Atlantic, meandering along a path through a preserve, a path on the green, or in and out of historical sites, galleries, and art museums—know that in this northern Floridian mecca, exploration is endless. Depending on where one wanders in the North City, there are restaurants that can satisfy and delight every palate. Moxi Kitchen + Cocktails is fairly new to the city and has won awards that give it its place at the top of the list. Chef Tom Gray (two-time James Beard nominee) is rooted in the South, but through extensive travel has been inspired to integrate flavors from coast to coast and in between into his American-inspired cuisine. The exquisite cocktails are a major bonus. Matthew’s, in beautiful San Marco, has been an award winner for over a decade. Chef Matthew Medure aims to please and surprise with menu options shifting daily. Keep an eye out for shows at San Marco’s historic Theatre Jacksonville or pop over to one of seven local breweries in the area before or after dinner. Beach restaurants abound as well. North Beach Fish Camp in Neptune Beach has a way with seafood that most visitors write home about. 29 South is a Fernandina Beach favorite with seafood and fresh local food at the center. Azurea is situated in One Ocean Resort and Spa in dazzling Atlantic Beach, offering mouth-watering sea-inspired cuisine proven to please the most discerning palate. Salt matches the Ritz-Carlton experience, where it’s located, on Amelia Island, and it meets and exceeds the bar that’s set. The chef’s nightly Adventure Tasting Menu has a knack for spicing up the dining experience. Sales of vacation homes are showing no signs of going on vacation. 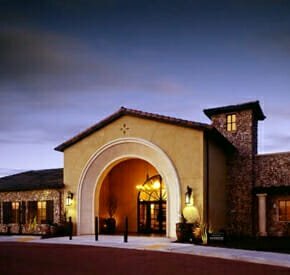 At least that’s the mood at many luxury master-planned communities or private club and resort-style developments throughout America. Indeed, six months after the National Association of Realtors (NAR) reported vacation home sales boomed in 2014 to an all-time high, transactions remained robust in 2015 for many real estate brokers. When the NAR reported last April a record 1.13 million vacation homes were purchased in 2014, it was the highest amount since the NAR began collecting data in 2003, and it marked a 57.4 percent increase from 717,000 units sold in 2013. 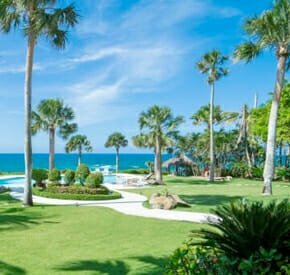 The total for 2014 was only the third time America recorded more than one million vacation home sales in a single year, surpassing the previous record of 1.07 million in 2006. In fact, when it comes to multiple home purchases, a growing number of people are buying secondary homes for vacation purposes rather than investment reasons. For instance, in 2014, the share of buyers who purchased a primary residence dropped from 67 percent to 60 percent, while the share of vacation home buyers continued rising to 21 percent from 13 percent – the highest share of vacation buyers recorded in this data set ever. buyers continued declining slightly to 19 percent from 20 percent. With the overall economy continuing to improve ever-so slightly and interest rates remaining at historically low levels, many are anticipating an equally successful 2016 for vacation home brokers. Lawrence Yun, NAR chief economist, says vacation sales in 2014 showed astonishing growth, nearly doubling the combined total of the previous two years. Indeed, the success brokers are experiencing nationwide remains stronger than ever. 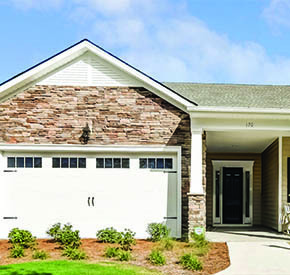 Bay Creek, a 1,729-acre Chesapeake Bay golf and resort-style community in Cape Charles, VA, that will be featuring four ideal-Living homes for the first time next summer, continues to see “very positive growth” from a diverse set of buyers comprised of younger families enjoying their weekend getaway with children to full-time retirees. 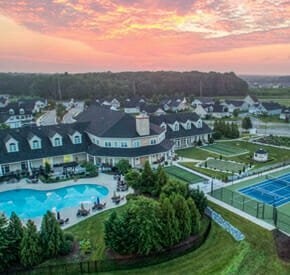 Waypoint Partners principal Wade Adler, who oversees sales and marketing for Bay Creek, says sales have doubled in the past two to three years for townhomes starting in the low $400,000s to $3 million-plus estate homes on the bay. 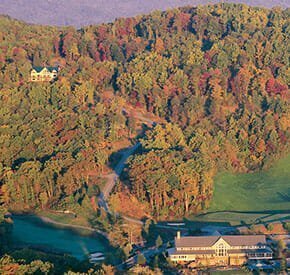 Blue Ridge Mountain Club, a 6,200-acre community in North Carolina’s high country between Blowing Rock and Boone, more than doubled its sales from 22 transactions in 2014 to 47 last year, according to director of sales and marketing Reggie Bray. 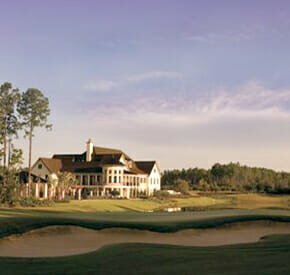 The Cliffs, a private club development encompassing seven communities and 20,000-plus acres in North and South Carolina, experienced a 24 percent increase in closed sales volume through mid-October 2015, in comparison to the same period in 2014 and an 89 percent increase in closed volume versus 2013, according to a Cliffs spokesperson. 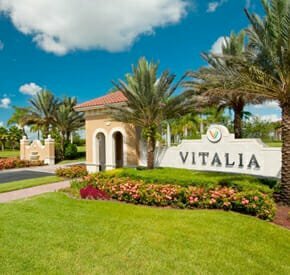 According to Suzy Duffy at Habour Ridge Yacht and Country Club in Palm City, FL, sales have increased dramatically in the past year to both a mix of second home and retirement buyers. Located in the heart of Florida’s Treasure Coast, this private gated golf and yacht club offers condos, patio homes, golf villas, single family homes and custom estates. In 2015, Callawassie Island (a South Carolina island community), the number of properties closed through October equals the total number closed in all of 2014. With many more scheduled to close in December, they’ve had a very good year. The percentage of second-home buyers has trended positively in the past three years – from 22 percent in 2013, to 32 percent in 2014, to an impressive 38 percent in 2015. The average age of their buyers is trending younger over the past three years. 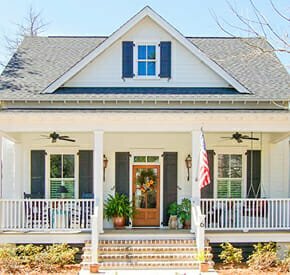 And, while the majority are moving from the traditional markets of the Northeast and Midwest, they’ve experienced a recent surge in buyers from Virginia, North Carolina (particularly Charlotte), and Atlanta,GA. 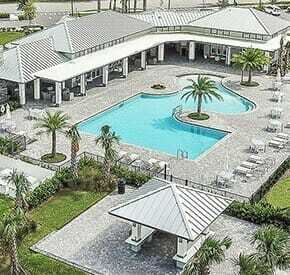 Overall, buyers in the past three years have come to Callawassie Island from 24 states, including Texas and California. While age and geographical origin may change, the things that buyers (and owners too) like best about Callawassie Island are constants: the Lowcountry setting on the Colleton and Okatie Rivers; the community’s respect for nature (one of only four South Carolina communities to be certified as a Community Wildlife Habitat); Tom Fazio golf; and an ideal location—near Hilton Head (but peacefully away from the congested traffic and vacationing tourists)—and a convenient 15–minute drive from Beaufort, SC. 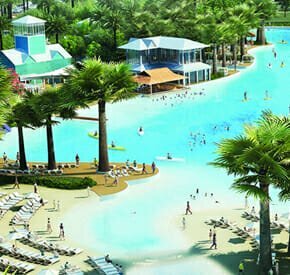 Vacation homebuyers on the rise is one reason why Encore recently announced MargaritaVillage minutes from Walt Disney World in Orlando will have 500-600 large-scale vacation rental homes as part of the $300-million-plus Jimmy Buffett-branded mixed-use development. 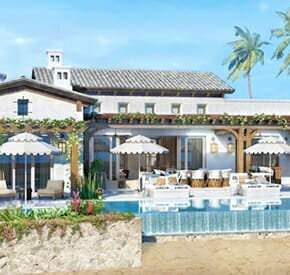 These five- to 12-bedroom “resort” homes will be designed to house several generations of a family under one roof, a trend that is also playing out at nearby Reunion Resort. The homes will be priced from $200,000s to $2 million. 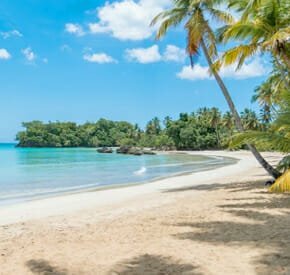 At ideal-LIVING, we’ve noticed a contiuning trend of second homes purchased outside of the U.S. in tropical destinations like Kalia in Costa Rica. 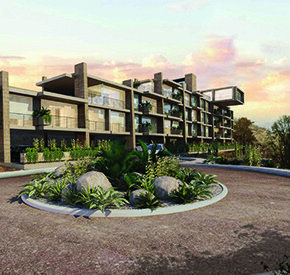 Located on the beautiful Nicoya Peninsula along the Pacific Ocean shoreline of Costa Rica, Kalia (pronounced col-YA) is comprised of four distinctive residential communities—Turquiose View, Ruby Sky, Emerald Woods and Diamond Cove—that have each been conceived and designed as sustainable “eco-villages.” This location attracts both the vacation home buyer as well as the full-time resident. One extremely satisfied new vacation homeowner is John D. Chaney, who purchased a three-bedroom home at Montage Kapalua in 2014. To be sure, John and his wife, Diane, were no strangers to Hawaii, having been island regulars for decades – often on an annual basis for business conventions. The allure of the islands became so strong the Chaney family started looking for a more permanent vacation home in Hawaii. 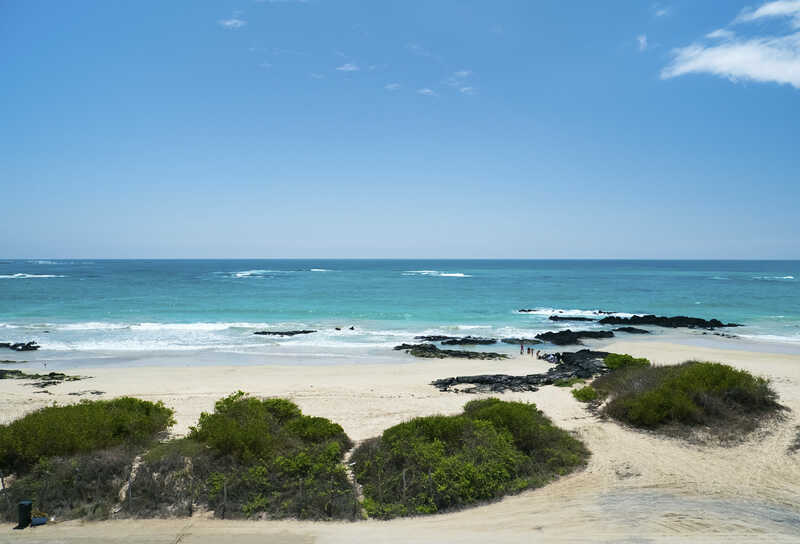 Aside from the beauty of Kapalua Bay and the luxurious nature of the Montage Residences, the stress-free nature of everything is what is particularly enjoyable about their new home in Hawaii. “Having experience with second home ownership, I wanted to eliminate some of the downside issues,” Chaney points out. “At our lake home, I always spent a day or two on every visit doing minor maintenance like changing light bulbs, cleaning the garage, charging a boat battery, etc. With a home 3,000-plus miles away (in Hawaii), I knew I could not manage any minor or major repairs. I also wanted to walk into a home that was 100 percent perfect so that I truly was on vacation and not the maintenance guy. The impact the Chaney’s Maui home has had on the family is immeasurable. Sure the beautiful design of their spacious residence is exquisite, but all of the well-appointed physical characteristics are overshadowed by the fact that so many family members enjoy spending so much time together in Maui. “We thought we would come to Hawaii for two to three months a year and so far we are coming four to five months a year,” Chaney said. 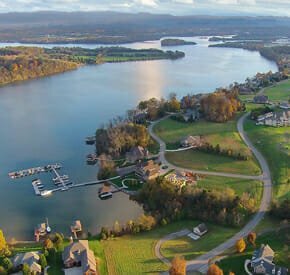 “We purchased our lake home to have a place for our family to enjoy, which they have. We were worried that we would be away from our family and friends in Hawaii, but that has not been the case. Friends are always coming over. Our four grown children and their families come to Hawaii all the time to be with us.